Located in upper Manhattan and famous since the early 1900s for being one of the great centers of African-American culture, art, and politics, Harlem is home to more than 345,000 residents - a number that continues to grow as gentrification continues to creep into this large and densely settled neighborhood. Were Harlem its own city, it would rank among the 60 largest in the country - larger than St. Louis, Pittsburgh, Cincinnati, and many other prominent metropolises. The neighborhood is also at the heart of NYC's black LGBT community, and in recent years, during the same week that New York City Gay Pride takes place, Harlem Gay Pride has developed into a major event of cultural events and celebrations. 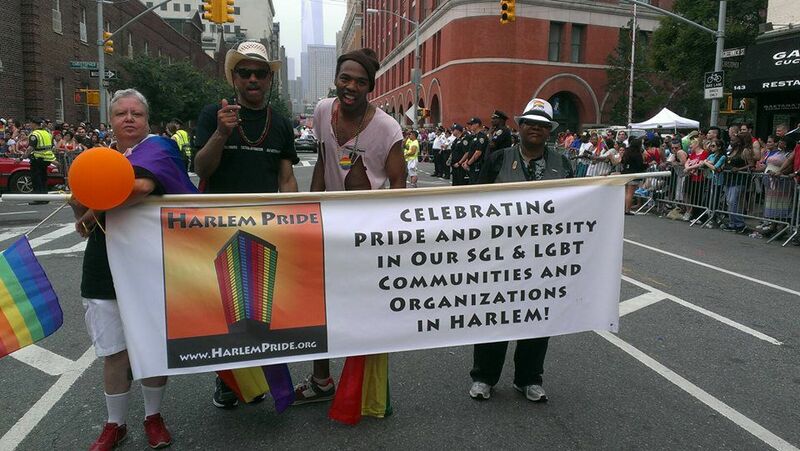 Harlem Gay Pride this year takes place over the weekend of June 25 and 26, 2016, but there are a number of events taking place during the preceding week. Sponsored chiefly by New York - Presbyterian Hospital, Harlem Pride consists of several key lead-up events, including an LGBT Film Festival held June 16-19; a Harlem Pride Trans Appreciation Reception on Thursday, June 16; a Beauty Brothers Brunch on Sunday the 19th, and much more. Check the Pride site for periodic updates to the events calendar. On the big weekend of Harlem Pride, Harlem Pride Celebration takes place on Saturday, June 25, at Jackie Robinson Park (Bradhurst Ave. at W. 148th St.), from noon until 6 pm and featuring entertainment, vendors, and more. And on Sunday, June 26, the Harlem NYC Heritage of Pride March takes place, and then that evening is the Official Harlem Pride 2016 Closing Party, typically held at Cove Lounge, at 325 Malcolm X Boulevard. The official host hotel of Harlem Pride is the hip and modern Aloft Harlem (2296 Frederick Douglas Blvd., 212-749-4000), which offers special 10% off rates during Pride week. Bear in mind also that NYC Gay Pride takes place the same week, and several other Pride events take place in neighboring boroughs at other times in June and July, such as Queens Gay Pride (early June), Brooklyn Gay Pride (early June), and Staten Island Gay Pride (mid-July). For more on the gay scene in Harlem and Manhattan, have a look at local gay papers, such as Next Magazine, Odyssey Magazine New York and the Gay City News. And be sure to check out the helpful GLBT website produced by the city's official tourism organization, NYC & Compancy.